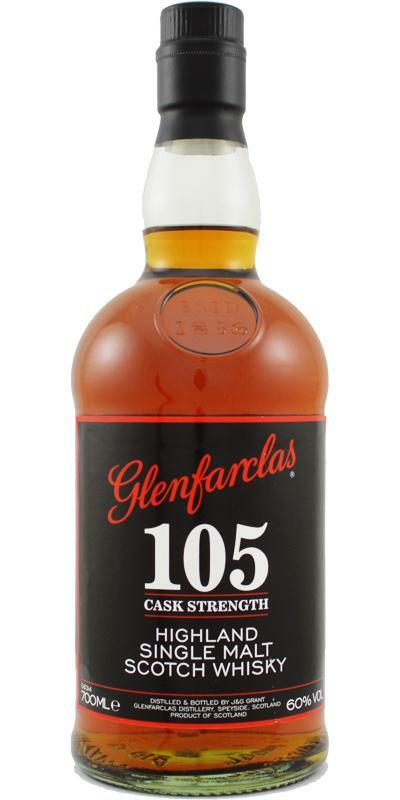 It is a common misinterpretation that cask strength equals good quality - this NAS Glenfarclas, however, is young, immature and rather aggressive. On the nose, you get subdued fruity sweetness, strawberry jam, candy apple and alcohol. With water, the fruitiness intensifies, featuring pears, burned toffee and hints of vinegar. The taste is peppery, cask-dominated and slightly metallic. Fading quickly, the simple and bittersweet finish confirms that 60% ABV alone are not enough to hide the shortcomings of this affordable but quite disappointing Single Malt. I think that's not bad. He has such beautiful aromatic notes that I like. I could also buy a big bottle. clear Metaxa note (as in the Greece holiday, if you sit in the evening after a good meal in front of the tavern), the alcohol tingles clearly in the nose (almost like disinfectant), raisins, sherry (medium sweet), is almost in the direction Madeira, a lot of oak, but not bitter. Very light citrus and subtle vanilla. With water: the Metaxa note almost disappears, but the vanilla gets stronger and some caramel comes out. Sweet, metaxa, rum raisins, vanilla. Then suddenly the alcohol is there, sharp and warming, the salivation is stimulated, much spicy oak. Maybe a touch of chocolate. With water: milder and more balanced, the sweetness lingers a bit longer, the oak steps back slightly. long (7/10), with a lot of oak and brandy. The finish is long. At the beginning a little bit peppery. After that there is a sweet fruity note for a very short time, then it gets a bit woody (very slight bitterness) and at the end long and very lightly salty. price of course, for alcohol and quantity hardly outrage. However, the quality suffers somewhat. For me, the iron flavor is a false note. ripe sherry fruit. Dried fruits. For cask strength fairly soft in the nose. Nevertheless, alcoholic coolness. Balsamic vinegar. Sometimes I have a rather unpleasant smell of iron. Nutty notes. fruity. Hardly any bitterness. Honeyed. Strong on the tongue. Caramel. pretty short. Licorice, dark fruits. Red wine taste. Getting pretty dry. 12-05-2017: quite an aggressive whisky which is in my opinion too high in ABV. Gave it some time to open up. Even after a drop of water, something I would never do, this one falls short for me. A nice whisky very marked by sherry. Relatively well balanced despite its 60%. If it had to be given a subjective note, it would be a 86. Brown amber dress. The tears are heavy and numerous. At first, it is lacquered, paraffin and wood. Oxygen is work and whisky is revealed. Noble wood, camphor, red fruits, a rancid side on cooked apple and walnut, progresses on earth and leather. Liquorice and black cocoa closes the walk. Power, very hot entry, the palate is spicy, big amplitude. Dried fruits, raisin, nuts. It's round, fat. Nutmeg and dusty wood. The finish is medium on dry cut grass and licorice. 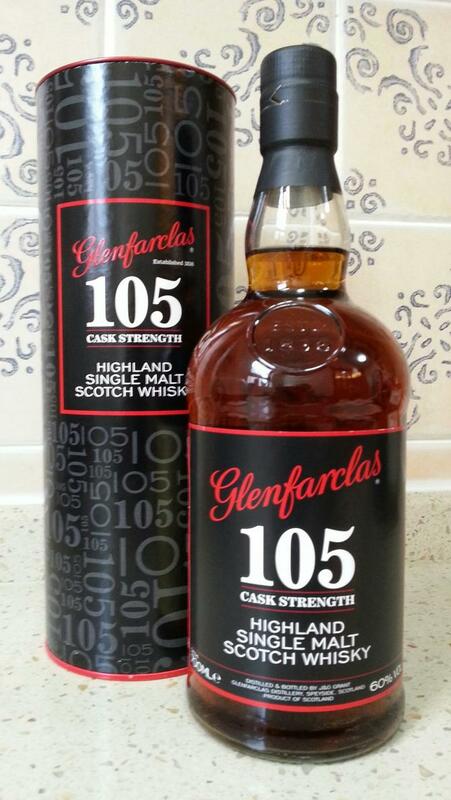 Glenfarclas: always great value for money.